Doctor Khaqqan Najeeb, the spokesman of Ministry of Finance, has said that during the last six months of the incumbent government, the economic numbers have shown improvement. 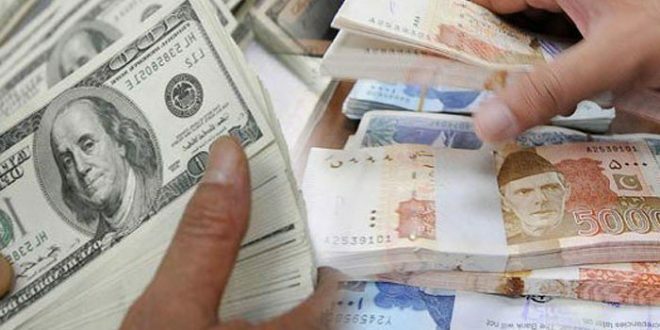 Khaqan Najeeb said that remittances have increased by 10% during the first six months while foreign investment in December 2018 rose by 17% compared to December 2017. He said that the trade deficit in the last six months shrank by 5% and exports grew by 2%, while imports also dipped by 2%. He said that due to the tireless efforts of the present government, the Current Account deficit in the first six months of FY 2019 dropped by 4.4 percent as compared to the same period last year and the pressure on the external account was also reducing. “Private sector borrowing reached Rs. 496 billion in the first six months of the current fiscal year compared to Rs. 232 billion of the same period last year showing more than double the growth”, he added. The spokesman said that during the first three months of current fiscal year, the agriculture sector’s borrowing increased by 36%, reaching Rs. 212 billion compared to the same period last year. To a question, Dr. Khaqan Najeeb said that the government would present an Investment and Export Enhancement Package on January 23 to boost the investment and business processes in the country. The government has included suggestions from Pakistan Stock Exchange, FPCCI and other Chambers of Commerce of the country in this package, he said. He added that the lower class of the country would get the maximum relief through this Reforms Package. He said the government was taking concrete steps to strengthen the economy, adding that balance of payment was improving.